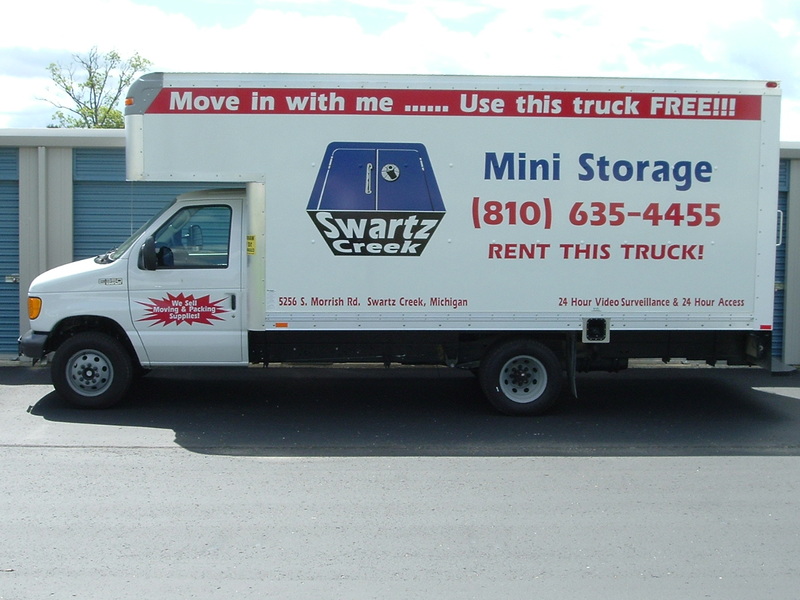 We offer a 15’ moving truck available for rent. Free Truck Rental with new unit rental! Prepay pro-rated rent for the remainder of the month on the storage unit, plus 1 month’s rent. Renter must provide a valid proof of insurance, a valid drivers license & be 21 or older. Call us to check availability and reserve the truck.